If a super uses torsion bars to hold up the corners of the racecar, the race team uses an adjuster bolt to change ride height. We talked about the importance of the ride height of a race car and how it affects suspension geometry and overall handling. 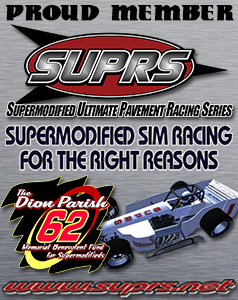 For this weeks pit-side chat, we are going to discuss the ways that ride height is adjusted on the supermodifieds that hit the pavement at Oswego Speedway. On today’s supermodified, ride height can be adjusted in one of two manners: the coil-over adjuster nut or the torsion bar adjuster bolt. Let’s talk coil-overs first. If you recall from previous tech columns, a coil-over is a combination spring and shock package. The shock absorber fits inside the coil spring. Or, to put it another way, the coil spring is installed “over” the shock, hence the name coil-over shock. One end of the coil spring is attached to the end of the shock absorber shaft and they move together with suspension movement. The other end of the coil spring sits against a stop that keeps that end of the coil spring fixed in place. This stop is actually a large nut that is threaded onto the body of the shock (which is also threaded). It is the adjustability of this nut that allows a race team to adjust ride height of a particular corner. By adjusting this nut, one can change the relative position of the spring in relation to the shock body and the chassis. “Tightening” the nut (turning it in a direction so it tries to compress the spring) will raise that corner of the car up. “Loosening” the nut drops that corner. The threads on a coil over are quite fine, so one turn of the nut will result in only a fraction of an inch difference in ride height. Sometimes, that’s all it takes. One difference between East Coast and West Coast supers is that the West Coast boys are allowed driver adjustable weight jackers. A weight jacker is a hydraulic ram that fits between the fixed end of the coil spring and the adjuster screw. The control for the hydraulic weight jacker is a knob that is inside the cockpit. Turning the knob one way or the other is the same as turning the adjuster nut. In this case, the adjuster nut will be set in the garage and the suspension will be fine tuned by the driver, during a race, with the weight jacker. Remember, ride height affects corner weight which affects handling. Changing the ride height from inside the cockpit changes the car’s handling characteristics as the race progresses. The Oswego rule book does not allow in-cockpit weight jackers. A torsion bar is fixed at on end and is allowed to twist, via an arm, at the other end with suspension movement. The end of the arm is attached to the axle of the racecar, and this suspends that corner of the car. Rotating the fixed end of the torsion bar also rotates the end that has the arm, which will raise or lower that corner. The fixed end of the torsion bar has an adjuster bolt. The bolt provides a small degree of rotation to the fixed end of the torsion bar, thus facilitating ride height adjustment. A torsion bar can also have an “in cockpit” weight jacker. With this set-up, the hydraulic ram replaces the adjuster bolt. Changing the length of the ram is the same as shortening or lengthening the adjuster bolt and rotating the fixed end of the torsion bar, affecting the ride height of that corner. I remember back in the day, the #55 of Kenny Andrews had a ratchet wrench attached to his roll cage with a long “extension” that connected to the torsion bar adjuster of one of his front corners. During a caution, he’d be cranking away at the ratchet wrench like he was the Wizard of Oz behind the curtain. Kenny Andrews was like that and I admire him for it. Our brethren on the south side of the pits, the Small Block Supers, also have the means to adjust ride height. In the rear, everyone runs coil-overs, just like the supers. Up front, the SBS guys have to run a stock style coil spring. The upper, fixed end if the coil is a plate that is connected to a very large bolt threaded into the frame. Turning this large bolt will change the corner height just as we’ve discussed. So, everyone take your adjusters and find out how low can you go! If you have questions, comments or topics you would like to see covered, you can contact me at motosports@groupRtech.com. Also, You can follow me @groupRmtrsports and submit questions via Twitter as well. You can also leave your comments and further questions in the comments section below. We’ll make sure The Bogwan gets them as soon as he’s done adjusting his ride height. As soon as The Bogwan writes one, we’ll let you know. Until then contact him at the email address at the bottom of each of his posts. Thanks for asking a great question.